Start by tapping Upcoming on your Schedule screen. 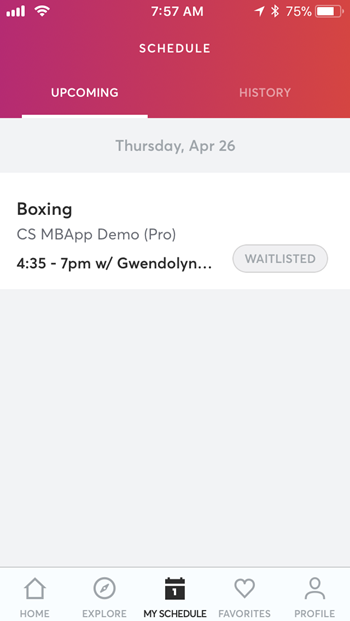 Tap Waitlisted beside the class you'd like to check. At the top of the Class Detail screen, you'll see "Waitlisted. You are # in line."